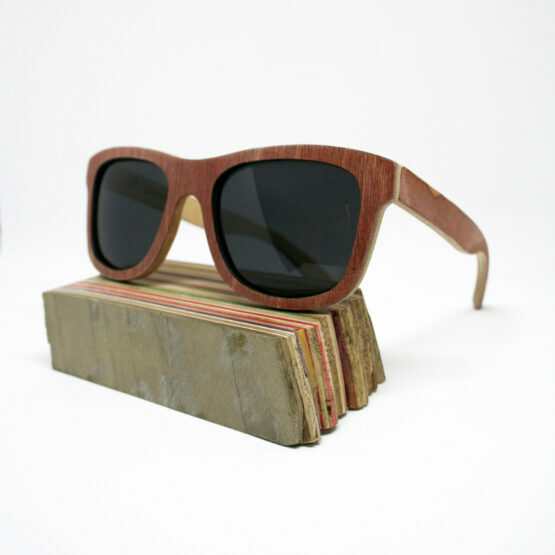 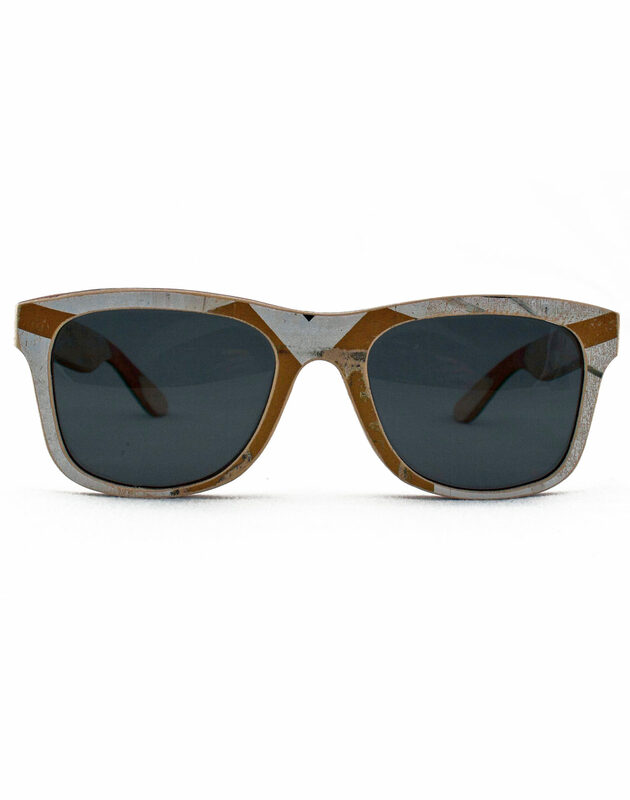 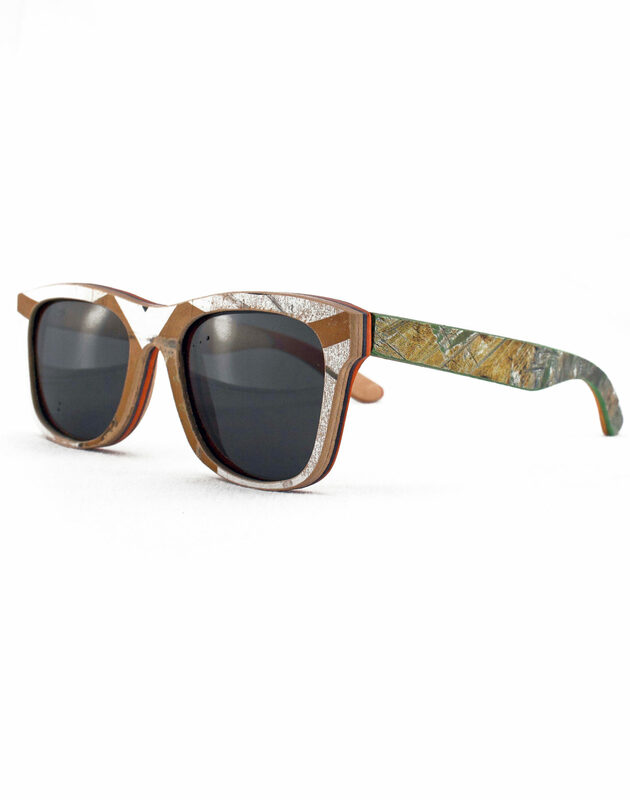 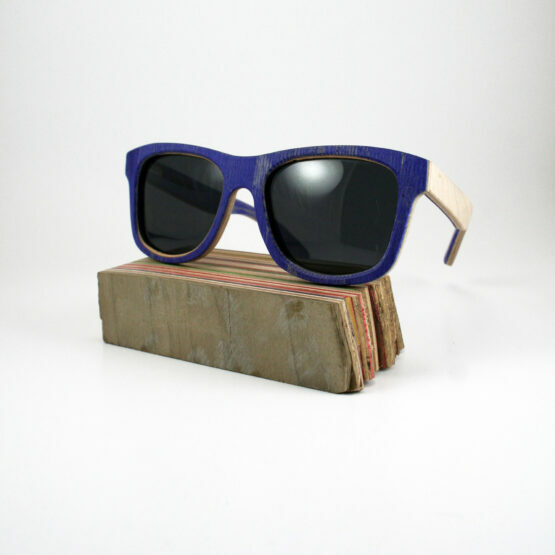 Recycled Wooden Skateboard Sunglasses (Brown, white and blue) - SKRAP Skateboard Inc. 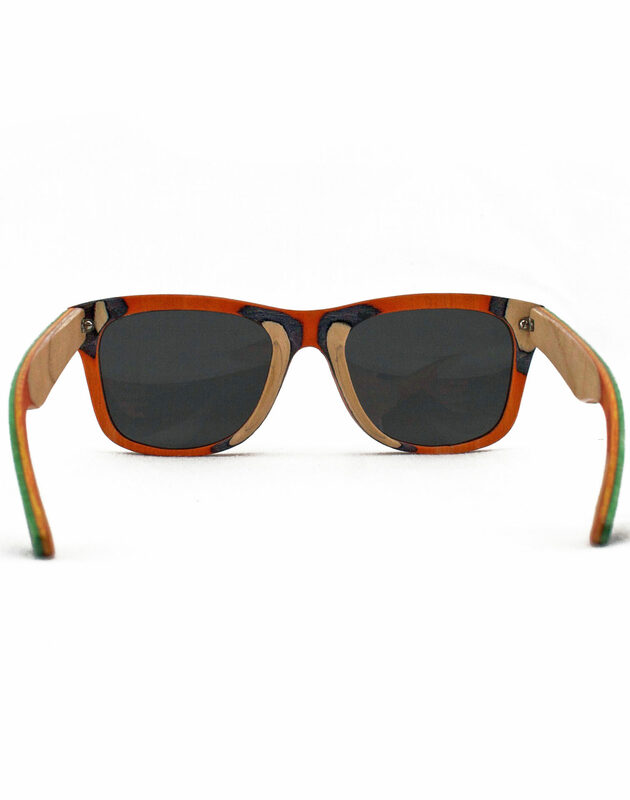 The sunglasses we’ve listed are just examples. 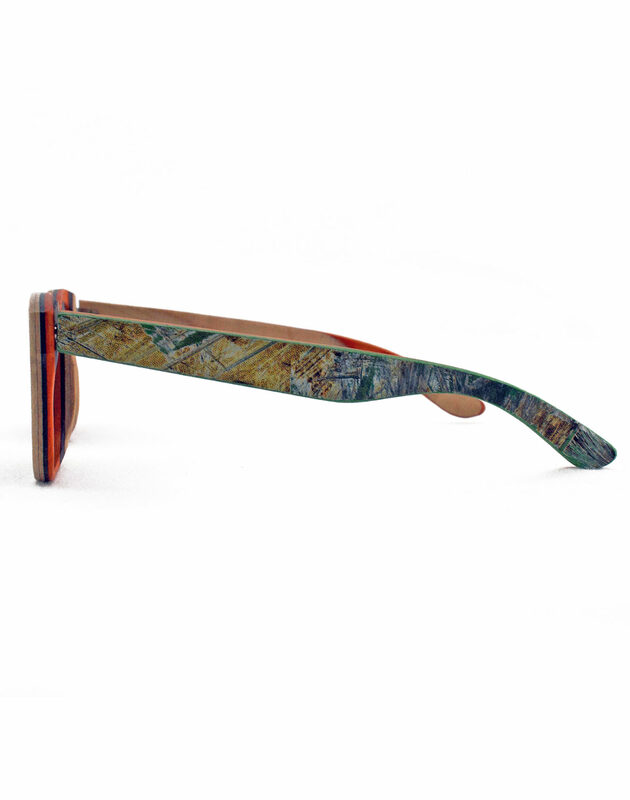 Leave a note at checkout if you desire a certain color scheme and we’ll make it happen!